The Natural Health Bible for Women is a book aimed to be a complete guide for women of all ages regarding how to look after their health. 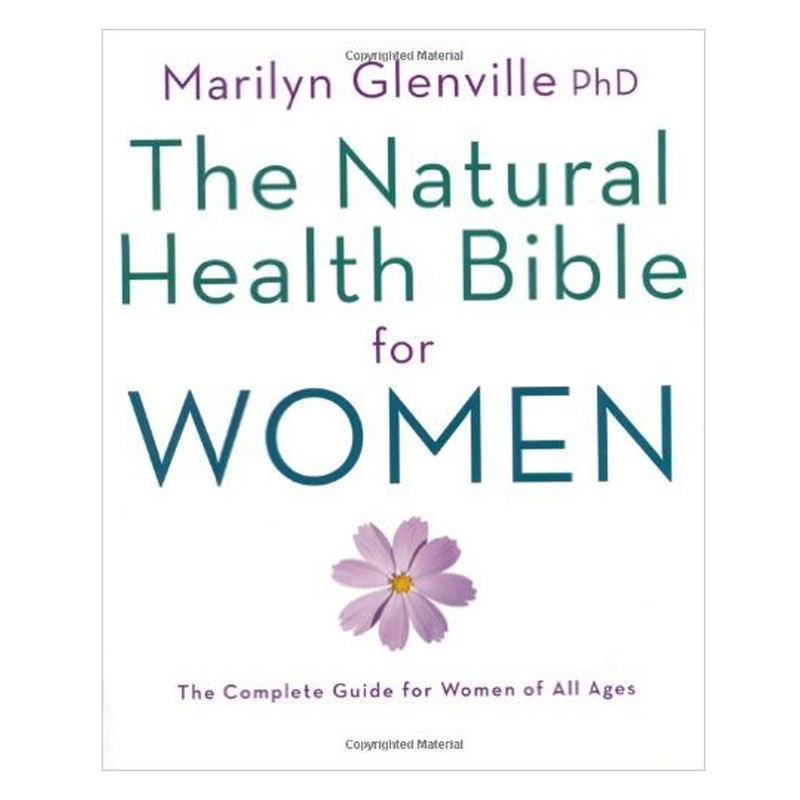 Written by author Marilyn Glenville PhD the UK’s leading expert in nutritional health for women. The author obtained her doctorate from Cambridge University and is a Fellow of the Royal Society of medicine and a member of the Nutrition Society. 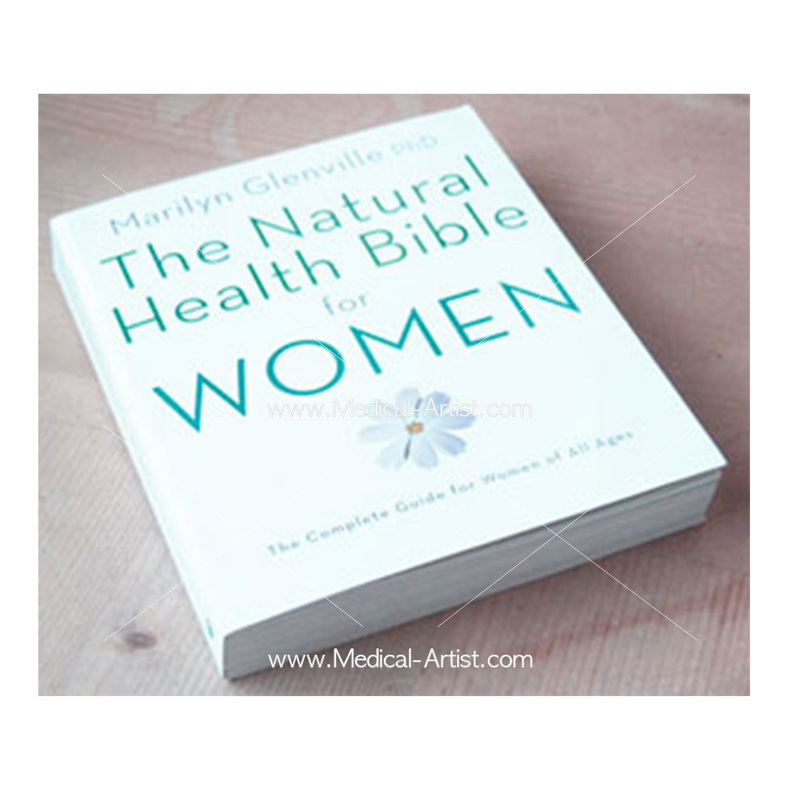 Published by Duncan Baird publishers the content of the book is to help women make informed choices about their body, containing a guide to the natural treatments available to women. 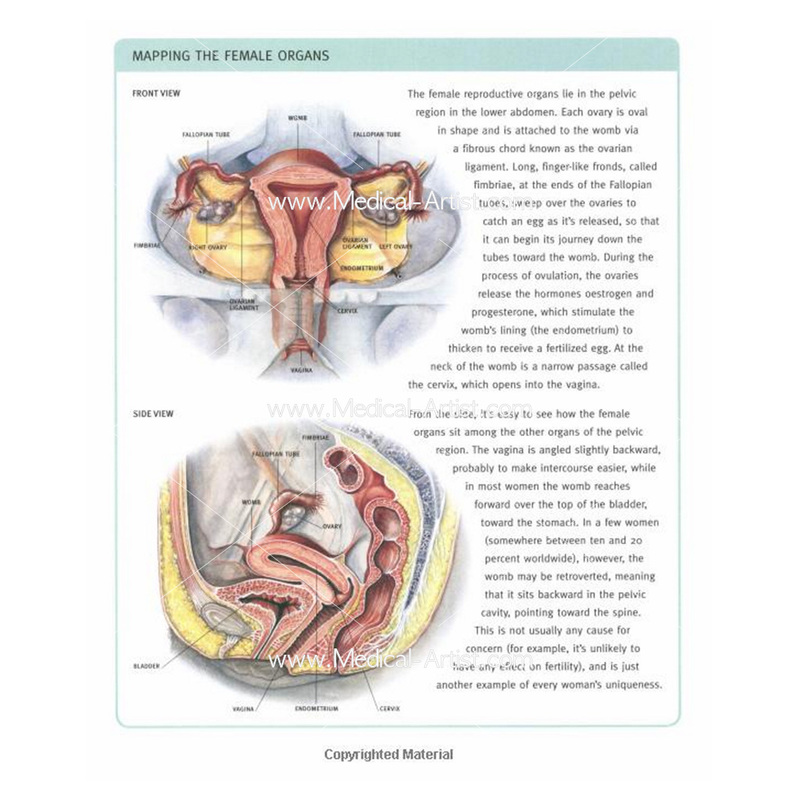 With detailed explanations and illustrations of how different aspects of the human female body works. Joanna Culley was commissioned to create the medical illustrations for this book because of her expertise at working in water colour. 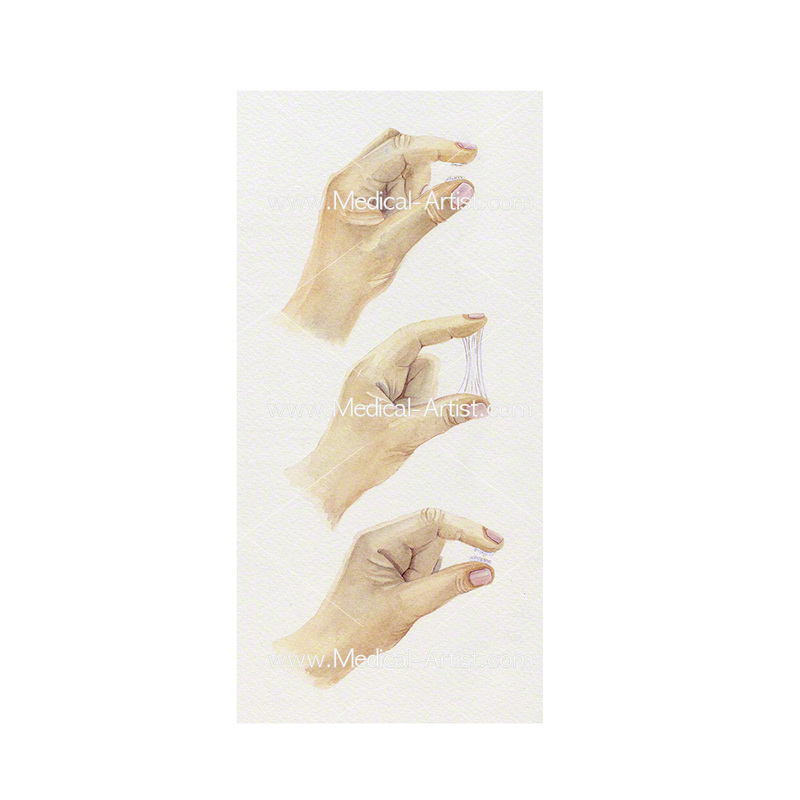 The brief was to supply detailed and precise medical illustrations where the choice of the medium was a very important factor regarding the resulting style and appeal and ability to convey sensitive subject matter. 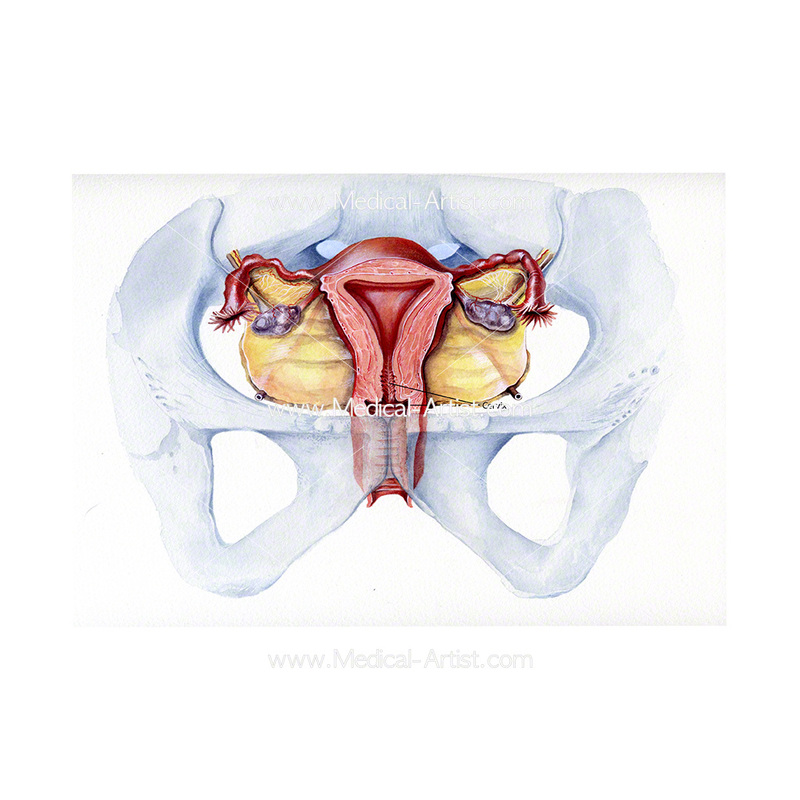 Subjects to be covered were hysterectomy procedures which is a surgical procedure in which a surgeon removes some or all of a woman’s reproductive organs. 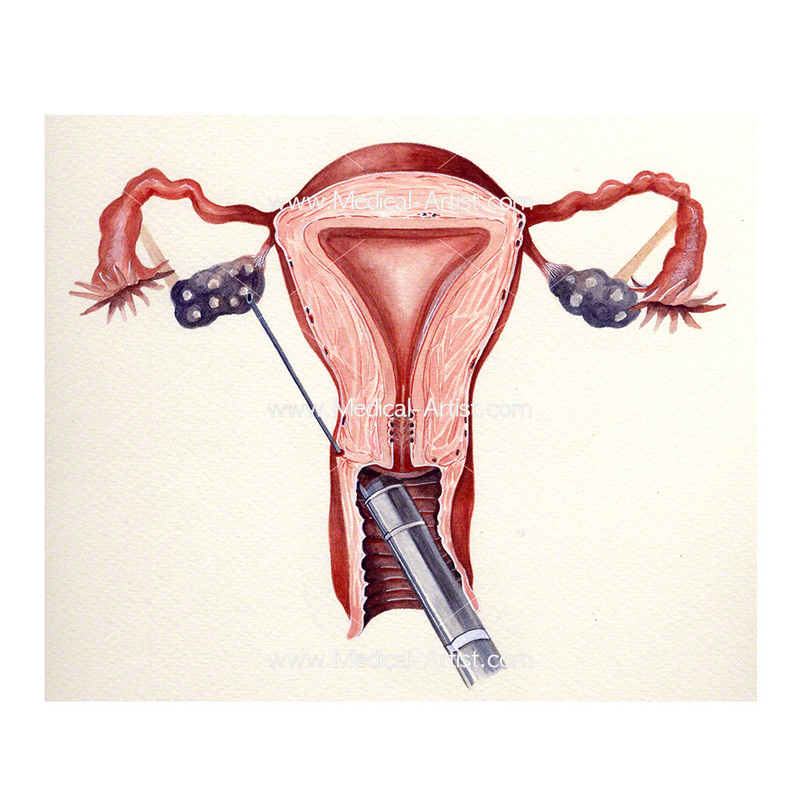 An illustration showing how egg collection is carried out by an ultrasound probe. Ways to give birth and how to deal with frank, complete and footling breech births. An illustration of the heart and how it works. 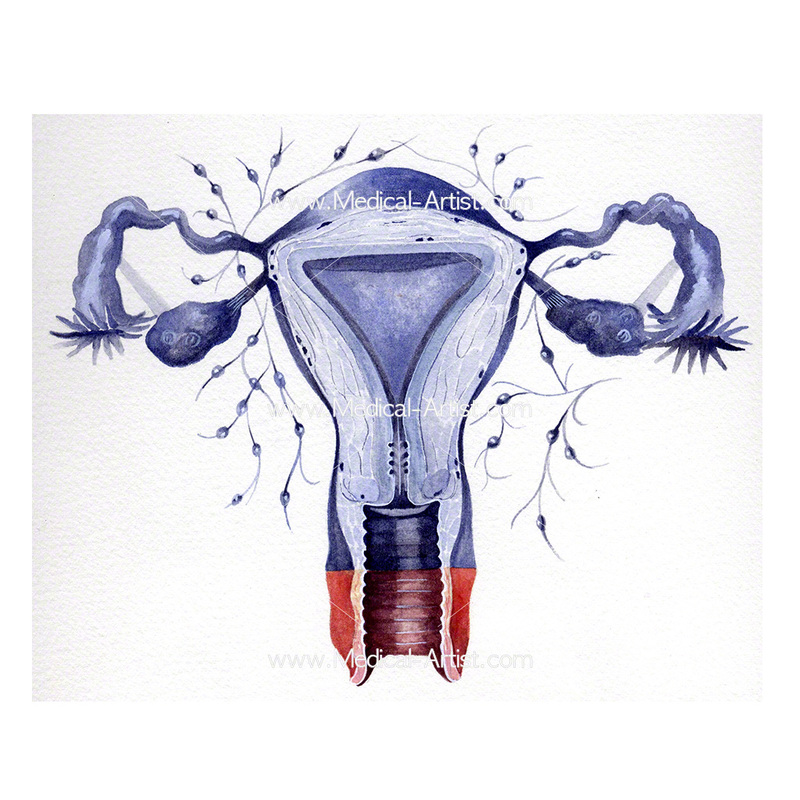 Stages of endometriosis from minimal, mild, moderate and severe. 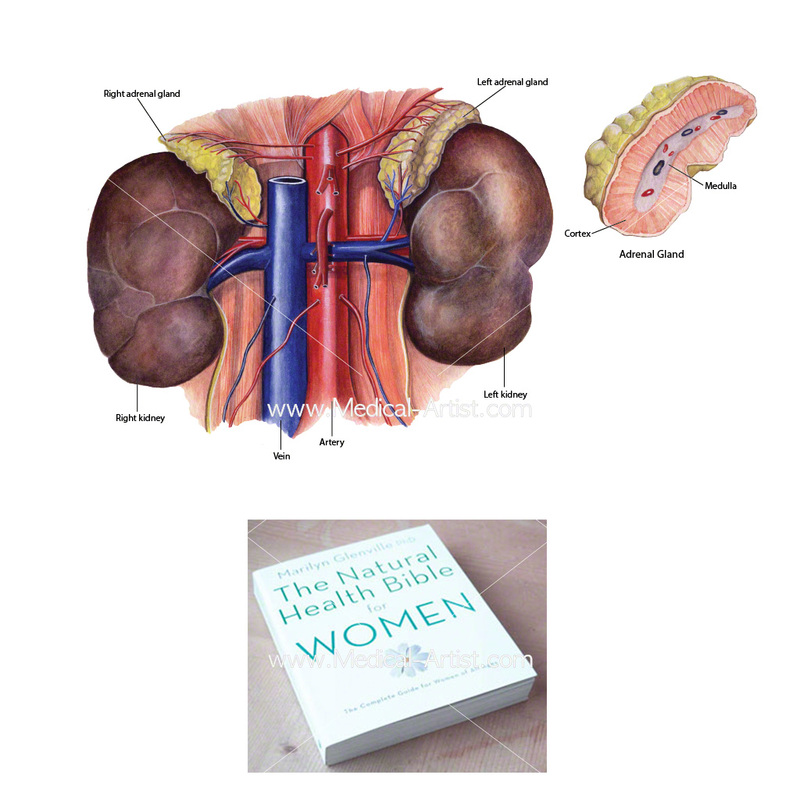 The anatomy of the kidneys and the adrenal gland. The project took a number of weeks to complete from the initial discussions, through to the creation of pencil sketches and finally the creation of the unique watercolour paintings that were used in the book. Senior Designer Duncan Baird Publishers, London.